Acoustic neuromas are benign tumors that develop very slowly, on the eighth cranial nerve inside the ear, and they can have a major impact on a person. It is known that only about five individuals out of 100,000 actually have acoustic neuromas, but those who do have them may experience symptoms such as facial numbness, vertigo, a slow diminution of hearing in one or the other ear, problems with balance, and possibly tinnitus. In extreme cases, the tumor itself can grow to a size where it actually becomes life-threatening, so its early detection is very important. The issue with early detection is that, as mentioned, the development of such a tumor is generally slow, which makes the symptoms experienced very gradual in nature. In many cases, these symptoms are actually just attributed to normal aging and don’t attract any real attention because they’re thought to be a consequence of diminishing capability. Individuals who experience any of the symptoms referenced above should seek medical attention at the earliest opportunity. This is so that if there is an acoustic neuroma in progress, steps can be taken to have it treated before it gets critical. The cranial nerve where a neuroma begins to develop is the nerve which joins the inner ear and the brain, and it has a profound impact on both hearing and balance. This is why the symptoms of an acoustic neuroma include side effects that are both hearing-related and balance-related. It’s common for people with an acoustic neuroma to have problems with steadiness in their daily routine, even walking around the household. Hearing can be impacted by the development of tinnitus, and possibly also a direct loss of hearing. As an acoustic neuroma grows larger and larger, it will begin to crowd the brain itself, as well as those nerves which manage facial expression and facial sensitivity. If an acoustic neuroma goes completely undetected and is allowed to continue growing, it can eventually put so much pressure on the cerebellum or brainstem, that a life-threatening situation can occur. There are two main causes of acoustic neuromas, the first of which is a sporadic form, and the second being related to a syndrome known as neurofibromatosis type II or NF2. Neurofibromatosis II is an inherited condition in which noncancerous tumors grow in the nervous system, and most of the time these noncancerous tumors are acoustic neuromas. For this inherited type of acoustic neuroma, it is fairly common for them to begin development in both of the patient’s ears, before the age of 30. This is a rare disorder that only makes up about 5% of all acoustic neuromas, meaning that the overwhelming majority of acoustic neuromas are of the sporadic form. Unfortunately, doctors and scientists do not yet understand what causes the sporadic form, although at least one risk factor has been identified as exposure to unusually high levels of radiation, primarily in the area of the neck and head. Radiation therapy is recognized as state-of-the-art treatment for acoustic neuromas. There are three primary approaches to treatment of acoustic neuromas: radiation therapy, surgery, and observation. You can think of observation as ongoing monitoring or watchful waiting. Since acoustic neuromas are not cancerous and grow only slowly, there is usually not an immediate or urgent need for any more drastic form of treatment. What happens after the observation period will depend on how rapidly the acoustic neuroma grows, and what kind of impact it’s having on an individual. Surgical procedures will take one of three tracks. 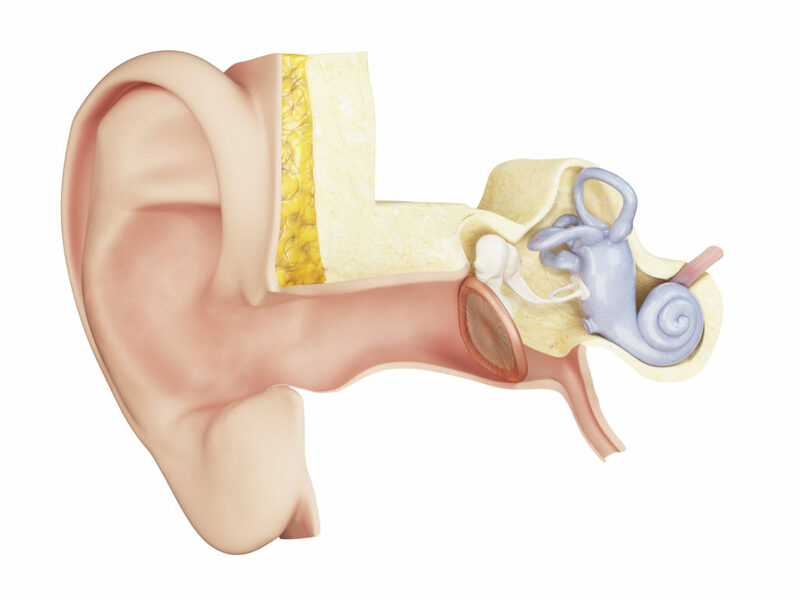 Translabyrinthine surgery calls for an incision to be made behind the ear, so that a portion of the middle ear as well as the bone behind the ear can be removed, and this approach is generally used on tumors bigger than 3 cm. Sub-occipital surgery operates on the back of the head, and can be used for any sized tumors, and unlike translabyrinthine surgery which causes total hearing loss, sub-occipital surgery holds at least the potential for preserving your hearing. Middle fossa surgery also holds out hope for preserving a patient’s hearing, as it removes a small bone piece over the ear canal, so that tumors of a smaller size can be removed. Radiation therapy is recognized as state-of-the-art treatment for acoustic neuromas, as it sends high radiation dosages directly at the tumor, while also limiting damage or exposure to all surrounding tissue. 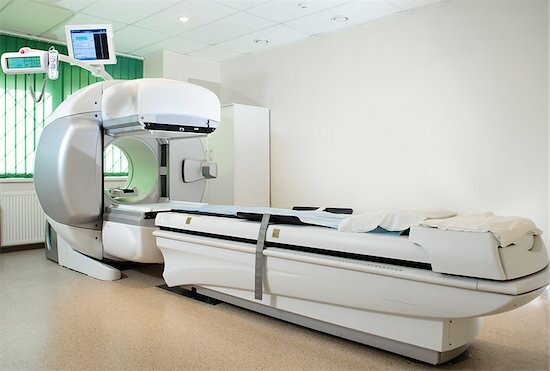 There are two types of radiation therapy which are generally used in the treatment of acoustic neuromas. The first of these is multi-session fractionated stereotactic radiotherapy (FRS). This delivers small doses of daily radiation over a period lasting several weeks, and is generally the more successful of the two radiation approaches. The second method for radiation therapy is known as single fraction stereotactic radiosurgery (SRS). In this approach, hundreds of small radiation beams are directed at the tumor in one comprehensive session. While this has the advantage of requiring only a single treatment session, it has historically been somewhat less effective than the FRS radiation therapy approach. While physicians have long noted that children with balance and hearing difficulties resulting from inner ear issues also have a high rate of hyperactivity, a recent study now shows why. In a lab, it was noted that certain mice with deafness or other inner ear disorders were unusually hyperactive. Given the circumstances, researchers decided it was a good opportunity to study why this was happening. Generally, hyperactivity was thought to originate within the brain. Hyperactivity is therefore treated as being a brain disorder. It was not until recently when this new study was published that things could begin to change. The inner ear of a human is responsible for two things: balance and hearing. Therefore, a change in the senses seemed to produce a molecular change in the brain, and this is the first documented study of its kind. It was found that the hyperactive mice had a genetic defect. The same gene found in humans is responsible for the transportation of certain minerals and nutrients to the body, and further investigation revealed that the removal of this specific gene in a healthy mouse increased its amount of activity. Further testing also revealed that two proteins when removed from the mice also increased motor activity. The two proteins are key to neural signaling and brain pathways, and explains why they aid in maintaining the level of activity. When the proteins were re-administered, a normal rate of activity resumed. Researchers are optimistic that with more testing, hyperactivity may be controlled merely by administering the missing proteins. It is also suggested by these findings that other mental disorders may also originate from other sensory dysfunctions. Since this is a relatively new understanding more research is needed, but this has proved to be an enlightening find.